This month’s host is Jorge Seggara, the @sqlchicken, who works for Microsoft. A busy schedule caused a slight delay, so we’re posting the third Tuesday of this month, but that is OK. This is a great topic for T-SQL Tuesday. 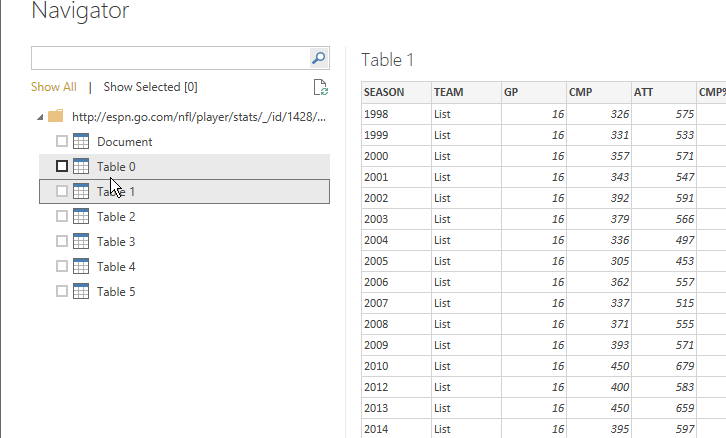 While Power BI is a great visualization tool, you can’t do anything without data. That means you need to find data, which is both easy and hard. Easy if you’re working within your own organization on a specific project. Slightly more complex if you want to look at data out in the world. However I saw this in a talk last year and I was amazed. This is the type of thing I’ve written before, and it’s cumbersome and problematic. 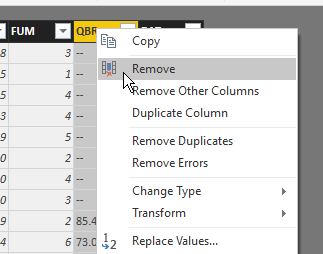 I would think that SSIS would have made things this simple years ago. 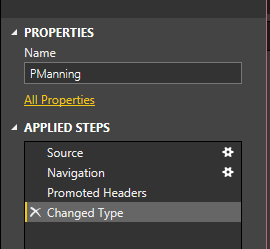 Right away Power BI wants to get data. Click on this and the Get Data dialog opens, with lots of choices. However if you pick “Other”, you’ll see one more that I love. Web. Click this. You get asked for a URL. Any URL. I happen to have one handy. After the win for Denver in Super Bowl 50, I thought I’d look back at Mr. Manning’s career. I take that URL and drop it in the dialog. Once I click OK, this will analyze the URL for tables of data. In this case, I get quite a few. I now click “Edit” at the bottom to clean my data. I could just load it, but there are a few issues. I see all the data in the designer, and I have lots of options for working with this data. First, since I’m going to do a comparison, let me rename the table. Next, I see the steps below the name. I’ll add more steps, but I’ll do this in the designer GUI. First, let me remove the last row, which is a career summary. 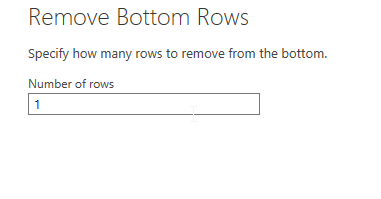 In this case, I’m only removing one row. Now, I want to remove a couple columns. In my case, I don’t care about a few of the data items, so I’ll pull them away. 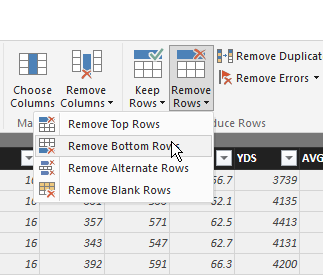 I can right click a column or choose “Remove Colums” in the ribbon. 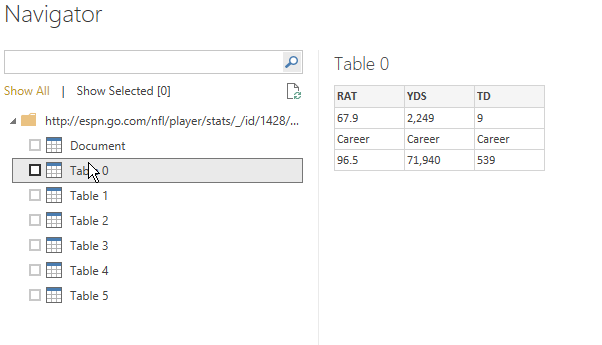 Either way, I get rid of QBR and Team. 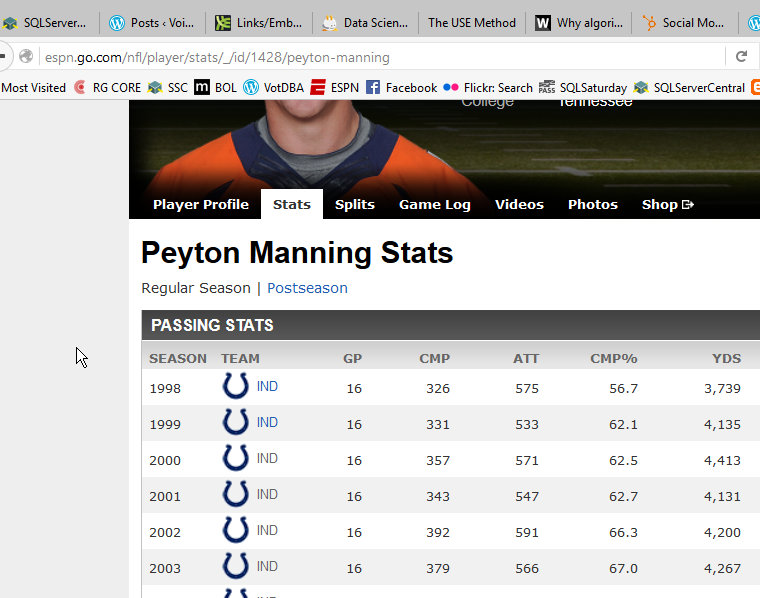 Now I’ve got a nice year by year summary of Peyton Manning’s career. 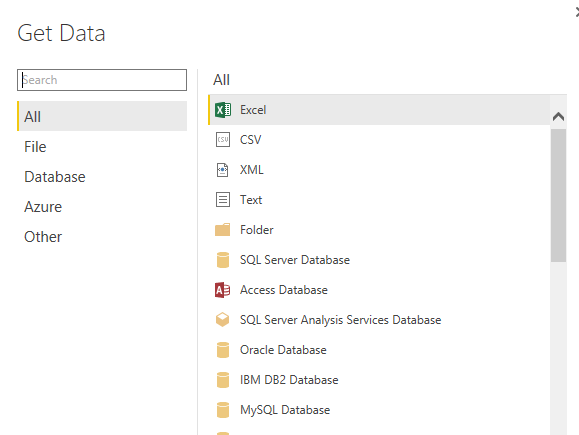 When I close and apply the query, my data is loaded into a data set for use by my Dashboard. I can then repeat this, and I’ll have two sets of data. 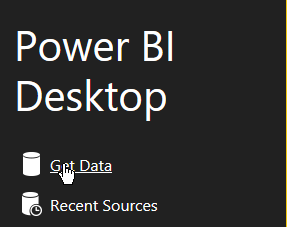 And, here’s my PowerBI Dashboard. It’s not terribly useful, or interactive, but it’s got data from the web that I didn’t have to copy or move. 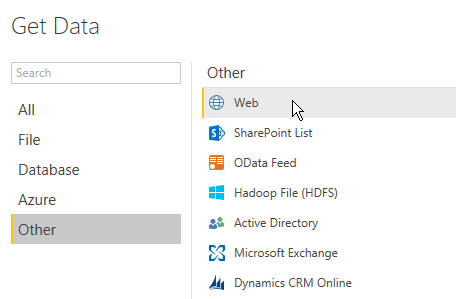 This entry was posted in Blog and tagged BI, data analysis, Power BI, syndicated, T-SQL Tuesday. Bookmark the permalink. For me, I appended one of these queries to the next, and added a “name” column to each. 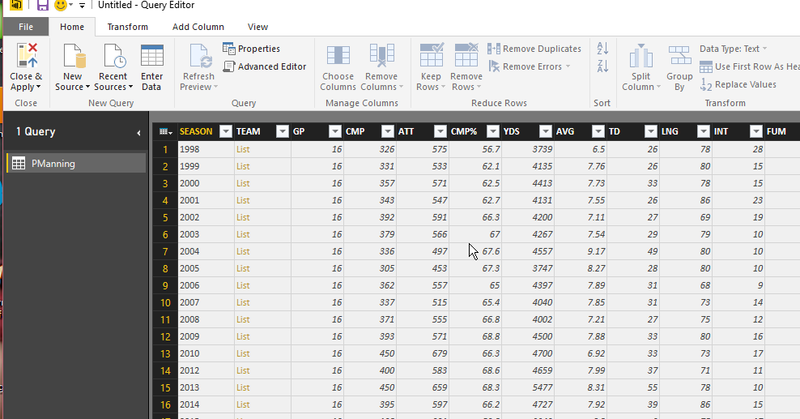 That way my data model has all of the data for #18 from ESPN, and a new column for “Name”. In my case, this is a scalar value. I did the same for #7 and then did an append to get the data into one table so I could compare the items on one chart. It’s not great looking, but it does allow me to see how they performed at various points in their careers. My comments are also on sqlservercental website. Every time you post a comment it take you here.